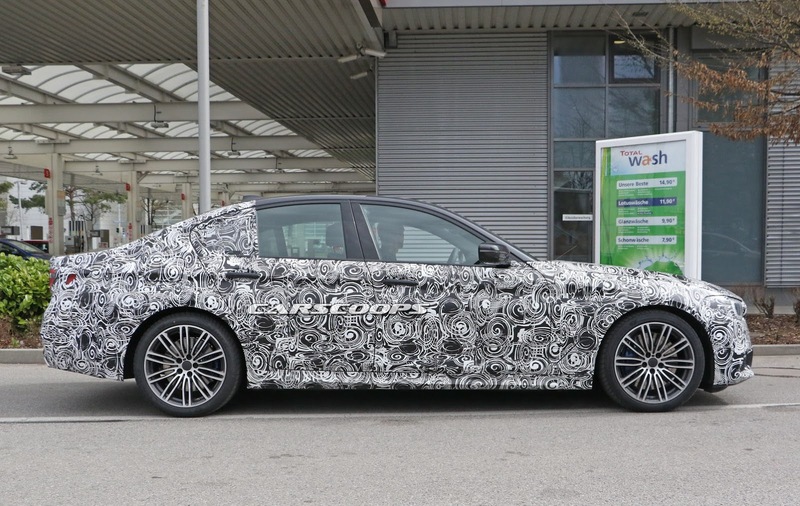 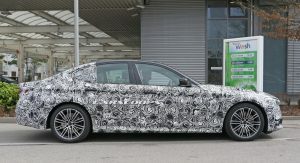 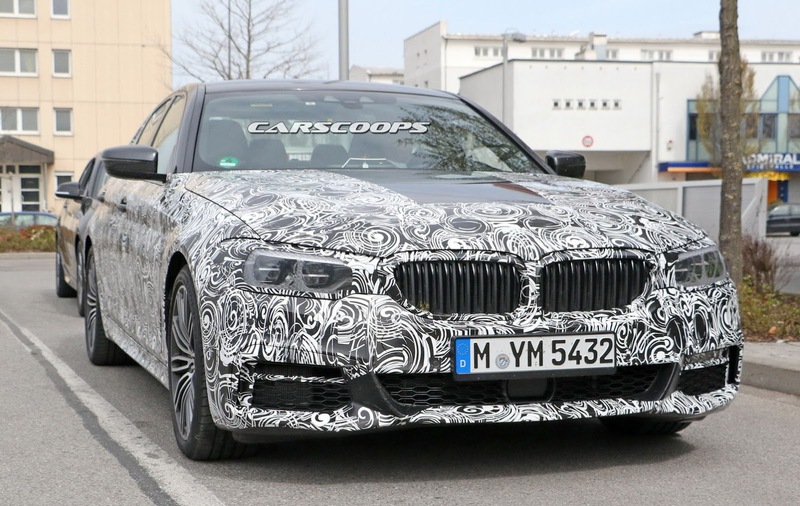 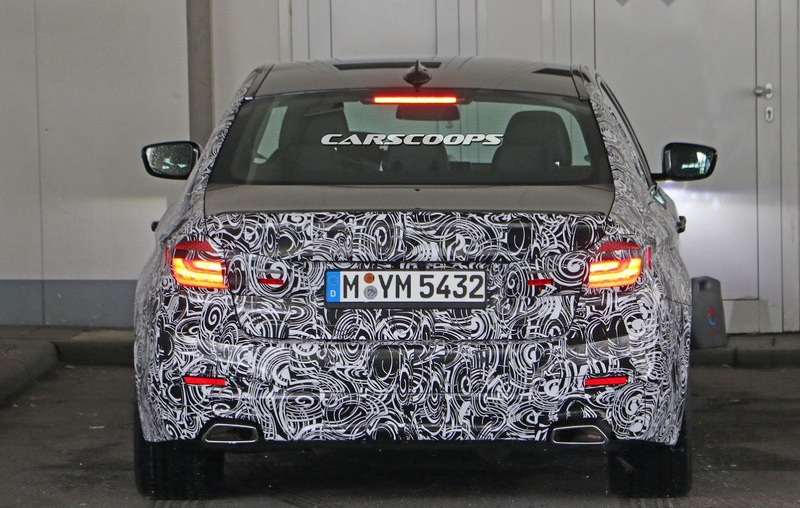 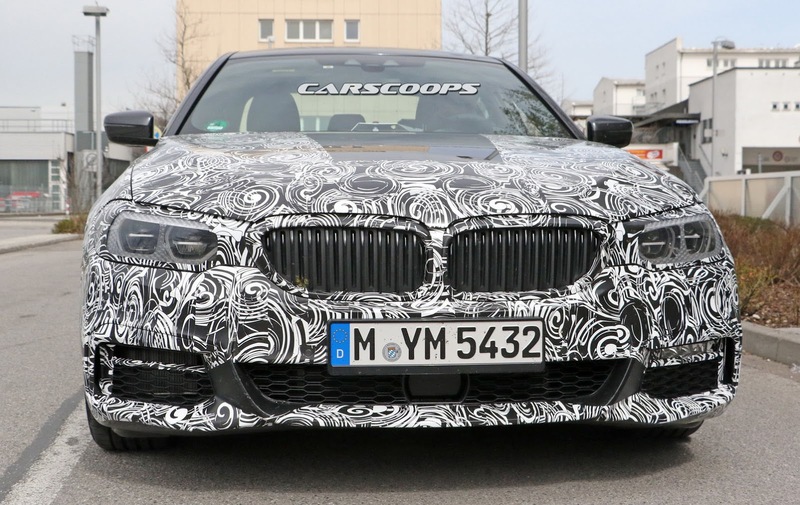 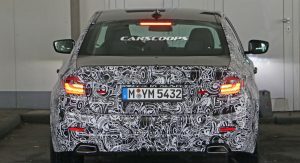 Not only did we spy BMW’s next 5-Series without any distracting moldings covering parts of its body, but for the first time, we caught a prototype of the G30-codenamed sedan wearing the M Sport kit. 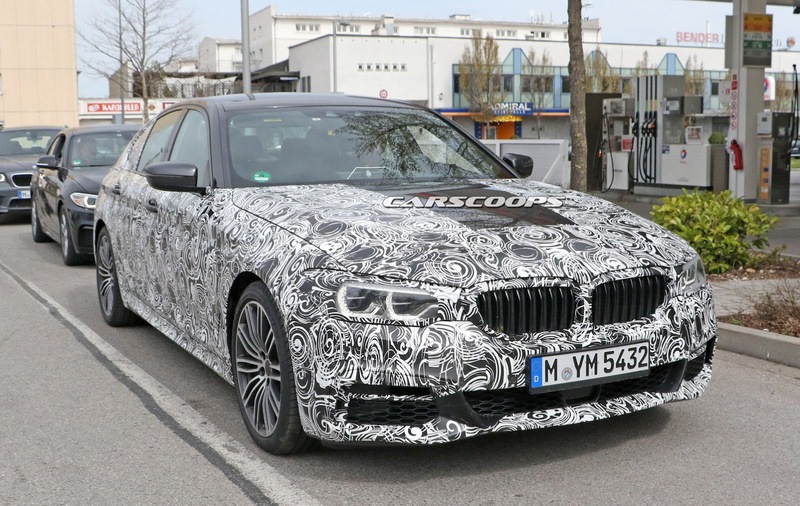 In this specification, the new 2017 5-Series sits lower to the ground, thanks to the M Sport suspension, with its exterior looks enhanced via the trim-specific front and rear bumpers, modestly deeper side skirts and 19-inch alloy wheels shod in 275/35 rubber. 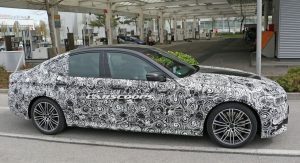 Even with the entire body engulfed in twirl wraps, there’s no way hiding the G30’s evolutionary exterior styling update that takes the current car’s theme and notches it up a tick with a more heavily slanted rear window and sloping boot lid, together with a lower and more angular front housing a wider kidney grille, similar to the existing 7-Series. 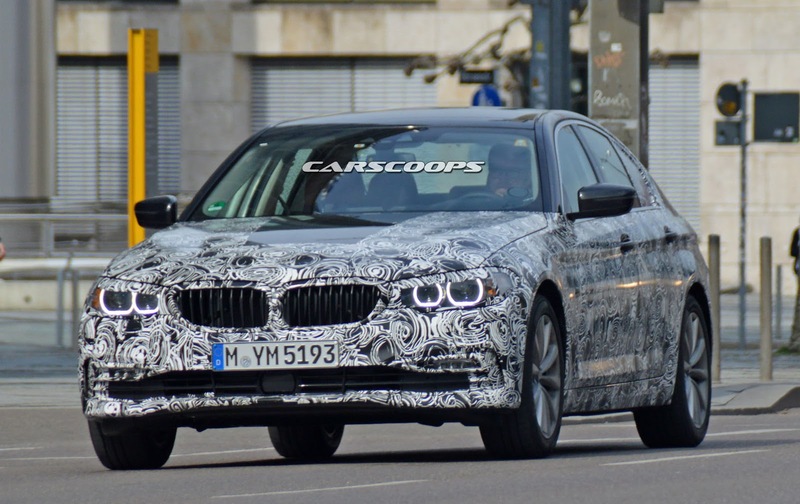 It should look more dynamic than the F10 5-Series it replaces, but at the end of the day, it’s a rather stale progression of a 6 year old design. 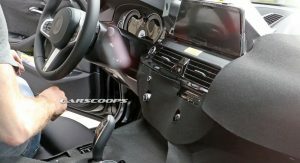 We’re getting the same vibe from the interior of the 2017 5-Series, where the biggest change seems to be the fitment of a standalone screen for the infotainment system above the center console, as the rest of the dashboard appears to have (again) subtly evolved from the current model. 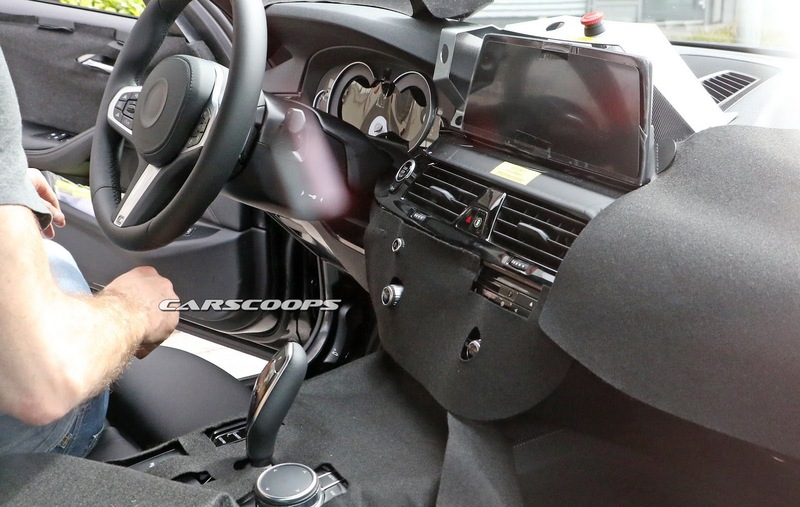 Our scoops of the interior also show the M Sport model’s sport seats and three-spoke steering wheel, and the partially digital instrument cluster that will be available alongside an analogue version, just like the Mercedes-Benz E-Class. 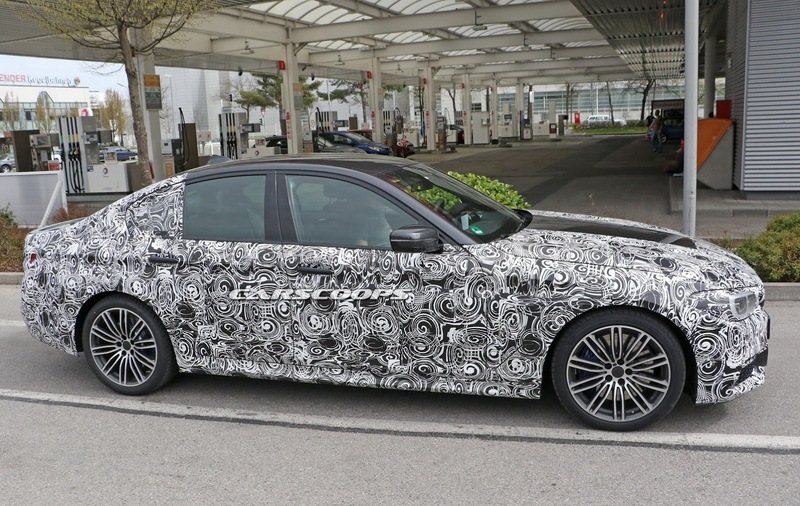 True, the developments (or the lack thereof) on the styling front are a bit disappointing – at least for those of you who were anticipating a fresh take on the executive sedan from BMW, but there’s more to the G30 than meets the eye. 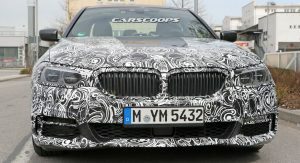 Under that familiar exterior and interior there’s a brand new platform codenamed OKL (Oberklasse or ‘luxury class’ in German) that was first used on the latest 7-Series and which combines aluminum, carbonfibre, magnesium and high-strength steel to help the next 5-Series drop around 100kg to 220 pounds over the current generation. 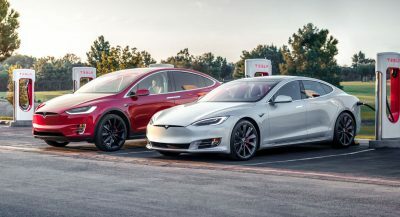 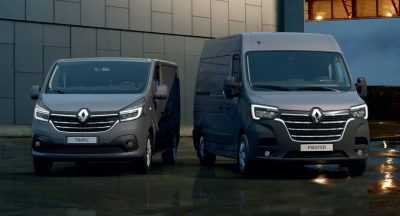 Another important advancement is the adoption of a 48-volt electric network that will give access to a multitude of tech features including sophisticated autonomous driving systems such as remote parking. 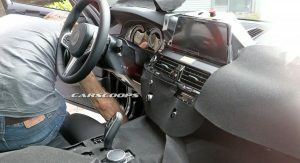 Furthermore, BMW’s newest iDrive system will support gesture control, allowing users to swipe through functions on the screen, just like they do on their cell phones and tablets. 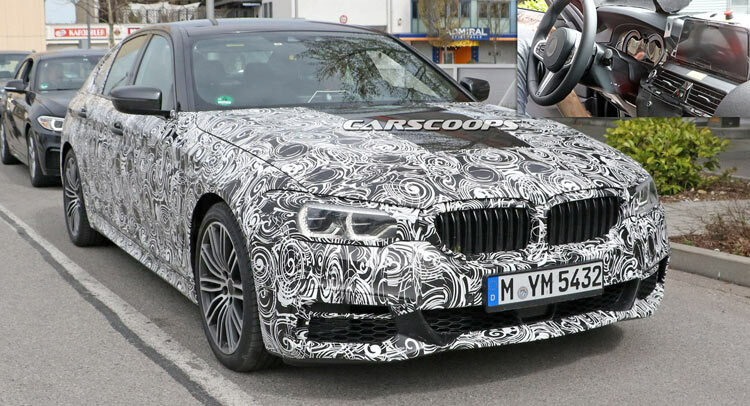 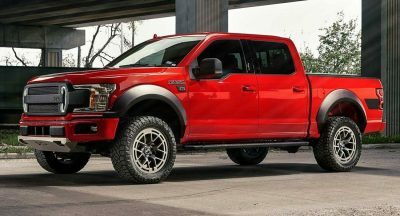 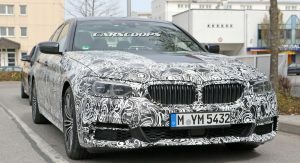 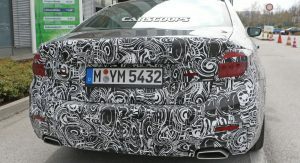 Powering the new 5-Series will be the latest turbocharged 2.0-liter four-cylinder and 3.0-liter straight-six diesel and gasoline engines, joined by the same 445hp 4.4-liter turbocharged gasoline V8 found in the new 750i, and a replacement for the M550d rumored to use electric turbos to assist the 3.0L six-diesel deliver close to 400hp. 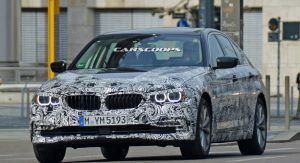 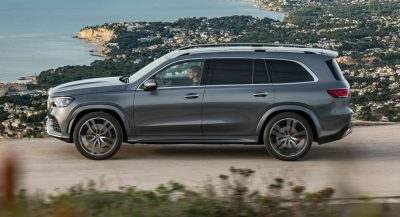 There will also be at least one plug-in hybrid model using the same 2.0-liter turbo four gasoline and electric motor setup in the 330e, 740e and X5 xDrive40e, while on the other end of the spectrum, the next M5 will adopt a revamped twin-turbo V8 delivering in excess of 600 horses being offered for the first time with the option of all-wheel drive (xDrive). 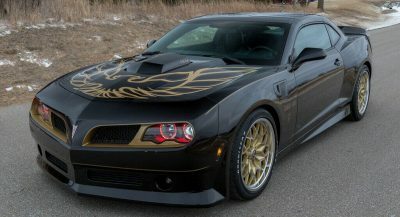 When will we see the new 5? 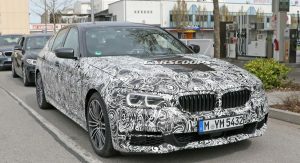 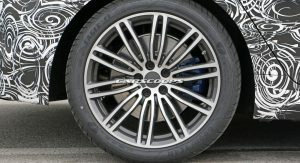 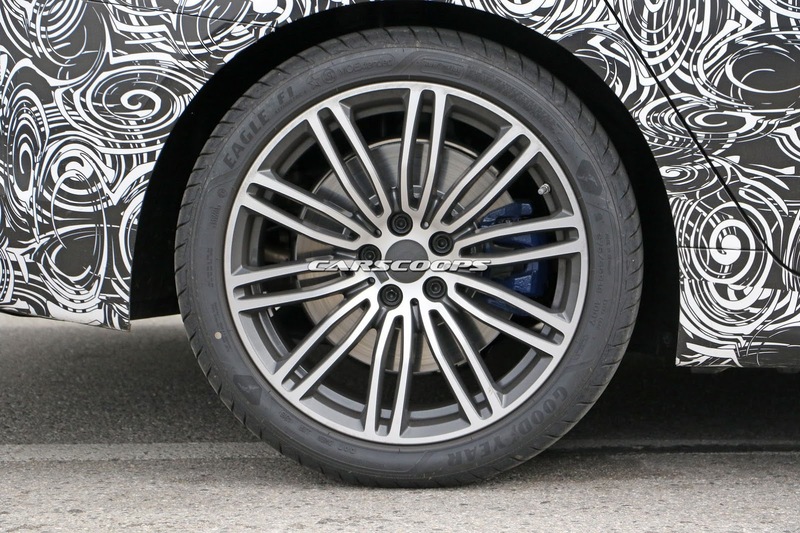 Some reports place the presentation later this year at the Paris Motor Show in October, but we suspect that it will be the replacement for the GT, which was originally introduced in 2009, a year before the current F10 sedan, with the four-door and Touring versions of the new 5-Series to follow either towards the end of this year or in early 2017. 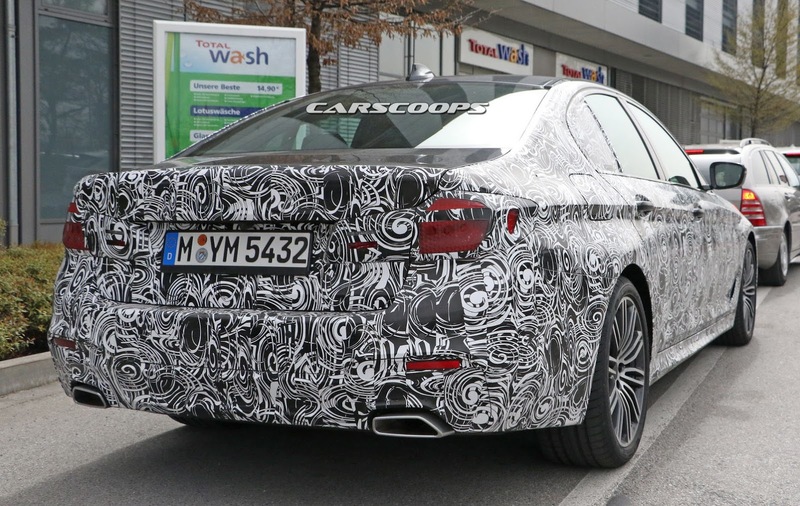 Either way, the sedan should go on sale in mid-2017.